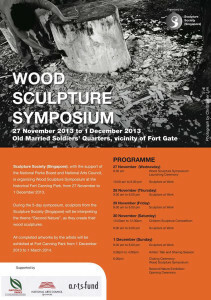 During the 5-day symposium, sculptors from the Sculpture Society (Singapore) will be interpreting the theme “Second Nature”, as they create their wood sculptures. 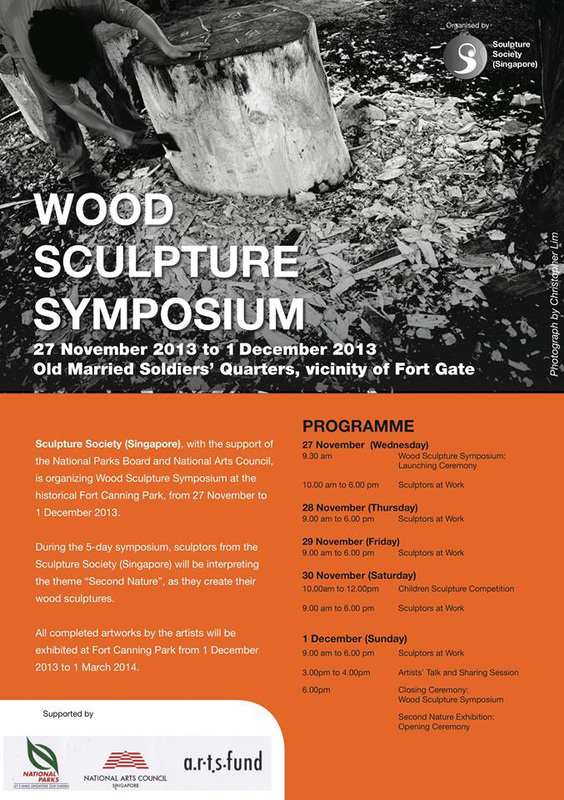 All completed artworks by the artists will be exhibited at Fort Canning Park from 1st December 2013 to 1st March 2014. Events in-conjunction with the Symposium will be Master Class with Ms Han Sai Por, Children Sculpture Competition and Artists’ Talk and Sharing session. For 5 days during the Symposium, Cultural Medallion recipient Ms Han Sai Por will lead a group of art enthusiastic and art student to create a collaborative work. The inaugural Children Sculpture Competition will take place on the 30 November, Saturday. Children will create a 3D art sculpture with natural materials like twigs, leaves, stones and wood offcuts. 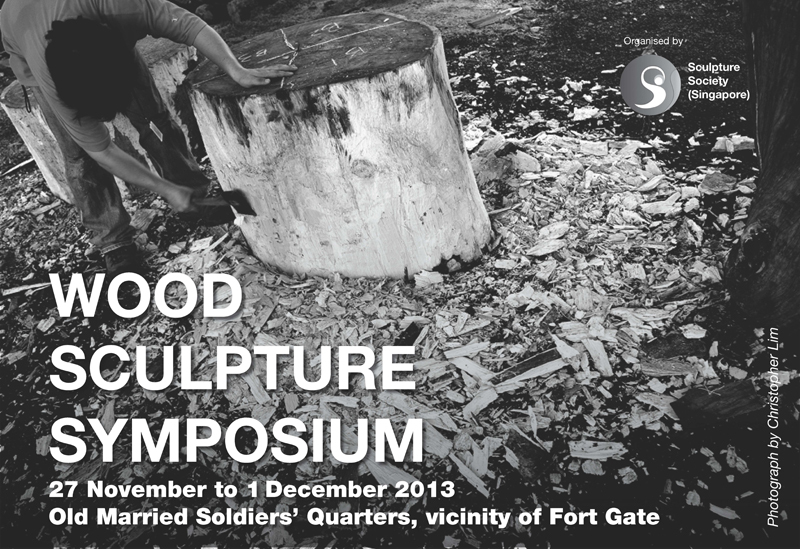 Symposium artists will share views on their aesthetical expression and display slides of their artistic labour. Public will understand more on the wood carving media, its toil and labour behind the artistic creation.